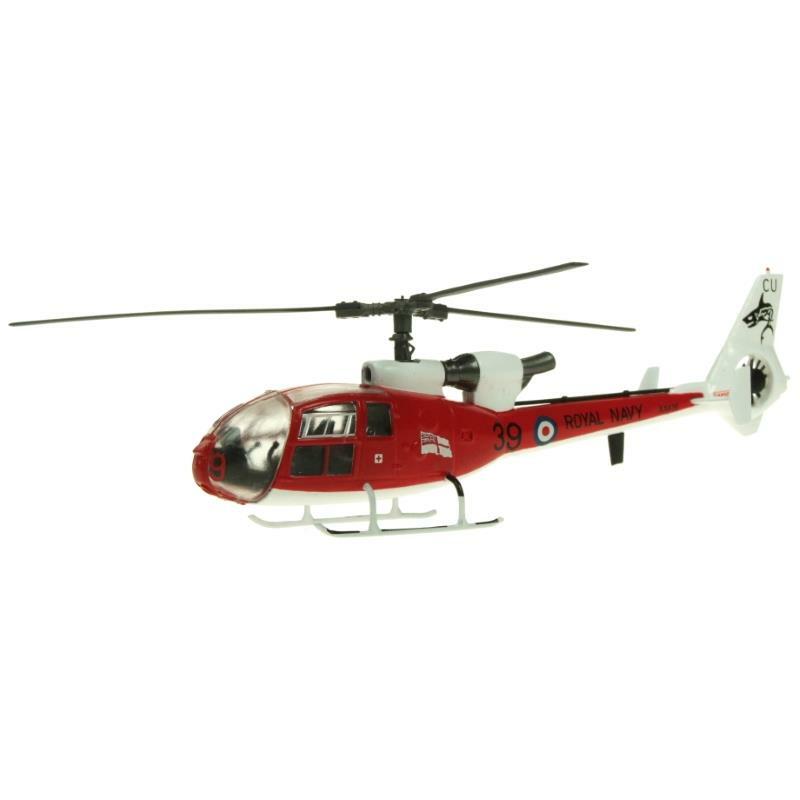 Aviation 72 Diecast-Models:Aviation-72 25255 https://www.warplane.com/images/Products/25255.jpg The Aérospatiale Gazelle originated in a French Army requirement for a lightweight utility helicopter. The design quickly attracted British interest, leading to a development and production share out agreement with British company Westland Helicopters. The Gazelle was used in combat in the Falkland Islands, Kuwait, Iraq and Kosovo and with 8 Flight Army Air Corps in support of 22 Special Air Service Regiment. It was also used for air patrols in Northern Ireland. British Gazelles were only armed when used in the Falklands, where they were fitted with machine guns and rocket pods, but these were not used. Three Gazelles were lost in action in 1982, two due to ground fire and one shotdown by a Pucara. British Gazelles performed as scouts for other attack platforms in 1991 Gulf War. Description: The Aérospatiale Gazelle originated in a French Army requirement for a lightweight utility helicopter. The design quickly attracted British interest, leading to a development and production share out agreement with British company Westland Helicopters. Additional Info: AV72-24009 includes a display stand.